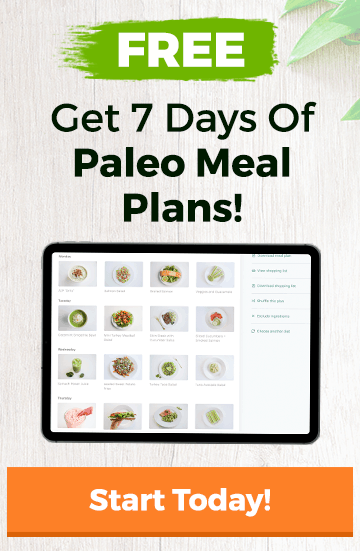 I’ve already discussed the role of sugar in the paleo diet in The Ultimate Paleo Guide To Sugar. If you have not checked that post yet, click that link and give it a quick read, as it will act as a nice primer for today’s post on the artificial stuff. Don’t worry, I’ll wait. After you’ve read it, I hope it’s clear to you that not all sugar is created equal (no pun intended). The body responds to various sugars in very different ways. When it comes to artificial sweeteners, the body is not much different. There are five major artificial sweeteners that have been approved and that are being consumed in the US (1). Let’s call them The Big 5. Acesulfame-K: This is roughly two hundred times sweeter than sugar. It contains zero calories because it is not metabolized by the body. It is often used in candies, desserts, and drinks. It is also used for baked goods because of how well it does under heat. Its aliases include acesulfame potassium and ace-k.
Aspartame: Other artificial sweeteners such as saccharin, succralose, and cyclamate have also been used is diet sodas. Cyclamate was actually banned in the US in 1969 because of concerns that it caused too many health problems. This is the most commonly used artificial sweetener today. It is made of aspartic acid, phenylaline, and methyl ester. You may know it as Equal, NutraSweet, or Sugar Twin. It is up to 200-400 times sweeter than sugar. An acceptable intake has been set at 50mg per kilogram of your body weight. Research on animals has shown that it is linked to cancer and brain damage. The FDA has listed 92 known side effects (2). It contains four calories per gram. It is not very stable under heat and is not recommended for use in baking. Neotame: Neotame is composed of the same things as aspartame but it’s about 8,000 times sweeter. Sucralose: Sucralose is made from sucrose by replacing hydroxyl with chlorine atoms. It does extremely well under heat and is used often in baking. It should be noted that research regarding artificial sweeteners is still in its infancy, so much of the data is not extremely strong. Researchers are going to need more time to get more conclusive results. However, we do know that most artificial sweeteners are not recommended for pregnant women and children (3). They way I see it is if it’s not good for them, it’s not good for me. The FDA has also approved the plant-based natural sweeteners agave and stevia. However, the use of the word “natural” doesn’t necessarily make anything 100% natural. Chemical sugar substitutes can be made from naturally occurring products and manufactured by adding chemicals to achieve the desired sweetness. 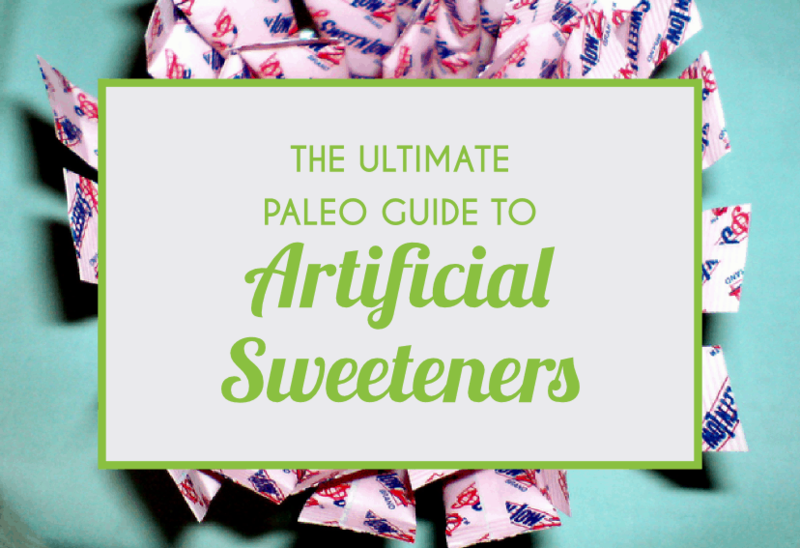 You can view a complete list of chemical and non-chemical sweeteners in The Ultimate Paleo Guide To Sugar. I’d now like to quickly address sugar alcohols. Sugar alcohols occur naturally in certain foods that we eat regularly, but they can also be manufactured. Despite the name, they do not contain any alcohol (ethanol). They are not typically used for their sweetness, but instead to add bulk, texture, and moistness, and to prevent browning when foods are heated. 10-50 grams per day may cause bloating, gas, or a laxative effect. When you eat sugar regularly, your body either uses it for quick energy or it stores it as fat. The problem is that our bodies are better at storing sugar as fat and not so good at storing it as energy. This is especially a problem if your activity levels are low. The pancreas knows when sugar has been consumed and it releases insulin to regulate how much sugar is in the blood. The more sugar that is in the blood, the more insulin that will be released. Insulin is what helps you to store glucose as glycogen in the liver and muscles, which is used for energy, but it also triggers certain fat-storage mechanisms. Some of us have a problem when too much (or even just a little) sugar enters our systems. Insulin can be over-secreted, which causes a drop in blood sugar levels (hypoglycemia), causing the body to crave more sugar. Companies began creating “healthier” alternatives to traditional sugar as a way to counterbalance some of the effects of sugar on blood sugar levels. Aspartame – Also called the commercial sugar replacement (Equal). We talked about aspartame in a little more detail in this diet soda post. White stevia (bleached) – Yes, they took a good thing and altered it chemically, trying to trick you. Truvia and Sun Crystal are chemical sweeteners. The green stevia is the real stuff. Agave – Often considered a “natural” sweetener but I’m not sure because of the way the agave cacti is processed. Agave is also 90% fructose, which has been known to cause a host of health problems (4) (5). High-fructose corn syrup (HFCS) – HFCS was created as a way to use some of the excess corn produced due to a five billion dollar commodity. The Glycemic Index score of a food tells you how quickly a food is broken down in the body as glucose. Foods with a score under 55 are considered low glycemic, 56-69 is considered medium, and above 69 is considered high. Here is a list of sugars, artificial sweeteners, and their GI scores (6). Lower scores GI scores are generally recommended to those that have blood sugar regulatory issues, are diabetic, or are looking to lose weight. One reason artificial sweeteners were originally created was that it was thought they would be a healthy alternative for those battling blood sugar issues. Diet soda in particular was created specifically for this reason. One study showed that diabetics had no spike in insulin after consuming aspartame and saccharin (7). As you can see, most artificial sweeteners score pretty low on this scale. But, although a nice starting point, the GI of a food doesn’t tell the entire story. Fructose, as you’ll also see, is very low on this GI table. This is because nearly all of it is soaked up by the liver with no insulin secretion. Once fructose has revived your liver glycogen, any excess that is not needed spills over into the blood as fat. It has been shown that diets with more than 50 grams per day of fructose are associated with insulin resistance, type 2 diabetes, cardio vascular disease, and elevated blood triglycerides. For most of the population it seems that the main reason for consuming artificial sweeteners is to reduce calories and lose weight. If you Google “artificial sweeteners” and “appetite”, “hunger”, or “weight loss”, you’ll find a decent amount of research on the subject with mixed results. Artifical sweeteners may stimulate overeating due to “sweetness satisfaction.” Your brain has the ability to distinguish between real sugar and the artificial stuff. Artificial sweeteners are typically 100-400 times sweeter than regular sugar, so the message they send to the brain is that a lot of sweetness is coming in. The problem, however, is that artificial sweeteners do not provide much satisfaction. One major problem with artificial sweeteners is their relationship with the cephalic phase in our eating patterns. The cephalic phase is the anticipatory part of the digestive process. Our senses (sight, smell, etc.) actually stimulate the process of digestion. When your body is expecting quick energy from real sugar but it does not get it because you’re actually consuming artificial sweeteners, it may crave more as it seeks to meet those energy needs. There are no calories or energy coming in from them and that is what your body and brain are waiting for. This may cause your body to crave more of it or more real sugar (that can provide the energy your body and brain are looking for). Only sucrose, but not sucralose, stimulation engages dopaminergic midbrain areas in relation to the behavioral pleasantness response. Thus, brain response distinguishes the caloric from the non-caloric sweetener, although the conscious mind could not. This could have important implications on how effective artificial sweeteners are in their ability to substitute sugar intake. Essentially, they’re saying that your brain can tell the difference between artificial sweeteners and the real stuff. I’m not going to argue against that, as it is a very valid claim, but, in my opinion, overeating due to artificial sweetener consumption is more often than not due to dietary displacement. Dietary displacement is when you consume a diet beverage, a zero-calorie product, or a sugar-free item, and think you can eat more because of this. How often have you seen someone order a donut or two, chocolate chip cookies, or a couple slices of pizza, and then a Diet Coke? We under-estimate calories (thinking about the zero calories we took in) and end up eating more at some other point. Some research even suggests that artificial sweeteners may disrupt how the body counts calories (8). What is being seen right now is that obese people tend to consume more artificial sweeteners than most people, but that artificial sweeteners do not lead directly to obesity themselves. Although the research and findings on artificial sweeteners are relatively new, I personally like the idea of limiting the amount of chemically manufactured products that go into my body. If you need something sweet and are looking for a sweetener, stevia may be your best bet. I think it’s always important to ask yourself why you’re putting something into your body. What are your reasons for consuming artificial sweeteners? If having a vitaminwater zero once a week is something you do, I doubt that will be a major problem, but if you’re regularly buying low-sugar, low-cal, artificially sweetened products that don’t contain many nutrients, there may be an issue. We’ve touched a bit on artificial sweeteners and the health risks, benefits, and other effects associated with them in some other articles. I highly recommend giving those a read. What have your experiences with artificial sweeteners been like?